In 2012, a record number of Americans traveled and recent forecasts predict that number will be surpassed in 2013. The U.S. Travel Association expects a 1.1 percent increase in domestic travel and a 4 percent increase in international trips. As more people start to travel, they’ll need accessories to bring with them. Not everyone has the the provisions they need for their trips and may be surprised if they can’t buy certain goods when they arrive at their destinations. Business-to-business vendors whose clients frequently travel can help their patrons prepare for their trips with promotional marketing products. Owners can distribute gifts that can be used domestically and internationally. 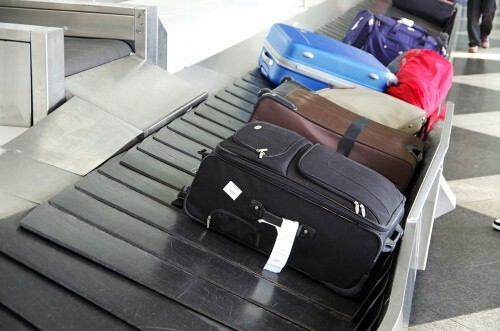 Frequent travelers know how frustrating it can be to forget small items at home and pay the exorbitant prices that airport and hotel gift shops charge for those goods. Owners can hand out promotional items that consumers can keep packed so they never forget anything for their trips. While it may not be the first thing on everyone’s checklist, a small first aid kit is an important accessory. Your customers will appreciate that you had the foresight to distribute the functional gift, so they can tend to small injuries while on the road. The U.S. Travel Association expects a great deal of businesspeople to go on work-related trips in 2013. This usually requires associates to meet with clients or partners, so it’s important that they are on time and look their best. Pocket calendars and small alarm clocks can help their customers maintain punctuality, and pocket mirrors help consumers keep their professional appearances. When traveling abroad, consumers must be prepared for exhausting trips and potential culture shocks. If travelers aren’t ready to face unexpected circumstances while visiting foreign lands, those jetsetters may face difficult problems. All travelers need to have their passports on them at all times, therefore passport holders are useful gifts. Without the proper identification, people may find themselves unable to travel home without going through extensive processes. Travelers may greatly appreciate the company that gave them the ways to keep their passports safe. The inability to speak foreign languages can hinder anyone’s ability to enjoy an international excursion. Understanding key words and phrases can help a trip move smoothly and allow travelers to avoid much of the confusion caused by the language barrier. While you can’t teach all of your clients to speak various tongues, you can give them promotional gifts that can help. A pocket translator can show anyone how to ask basic questions or request assistance and translate helpful locals’ responses. There are some items that your customers need to bring with them everywhere. If you aren’t sure if your clients travel domestically or internationally, it may be a better practice to give general gifts that can be used in both cases. For example, every location is prone to bad weather, so branded umbrellas are usually appreciated. Coffee is universally popular and many business travelers rely on the drink to keep themselves working efficiently. Vendors can give their loyal patrons travel mugs and tumblers. Every time gift recipients fill the items with warm joe, they’ll be exposed to logos and advertising materials. When your clients make travel preparations, they are likely to forget small items. You can help your clients by holding promotional giveaways that are geared mostly toward travelers. The gifts can help you advertise and build brand awareness, even while customers are in other countries.